Jessie Burley graduated from Lebanon High School in 1899 and then studied Bible and music at Christian College in a time when the women had to wear black gowns and the three-cornered mortarboard hat just to go into town. When students did go into town, a teacher was right at their heels supervising. In one outing, Burley said she found a table of used music books and fell in love with a poem. She memorized it. It was the end of “Sleep Song,” by Henry van Dyke. Burley said she bought the book and left the store – managing, for once, to do so without her teacher ever knowing. “I’ve had that little poem next to my heart all these years that I’ve been teaching,” she said in a 1976 interview with Bittersweet, a Lebanon High School publication. Burley taught music to students in elementary, middle and high school for more than 40 years. Singing was the focus, and she said the students’ favorite songs were “My Country ‘Tis of Thee” and “America the Beautiful.” She also put on plays and musicals that the entire town looked forward to. On Nov. 6, Burley will be posthumously recognized on the Wall of Honor in Lebanon, Missouri, for her achievements in the community. After graduating from Christian College in 1903, she moved back to Lebanon started giving private vocal and piano lessons in her home, then transferred her studio to the school building and began teaching classes. That was the beginning of the music program in the Lebanon public school system, a feat for which she is credited. 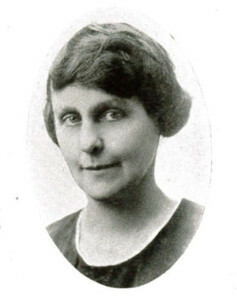 Howe was one of Burley’s last piano students before her death in 1979. He says she is remembered as a premier educator who was a pillar of the Lebanon school system’s music department. Burley was an obvious choice for the Lebanon Wall of Honor, the highest recognition the community awards its residents, Howe says. Honorees are selfless and have made a difference in the lives of a lot of people. Burley was a “grand lady,” he says, and the committee felt honored to be able to select her as an inductee.